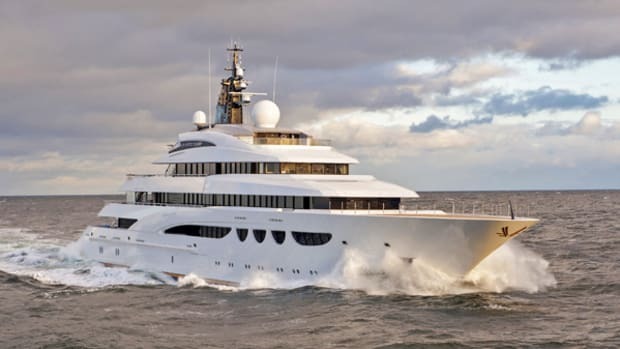 Azzam officially launched in April of this year, but Lürssen first floated her out of the build shed in late May of 2012 and towed her to another, longer shed to complete her bow section and uppermost superstructure. 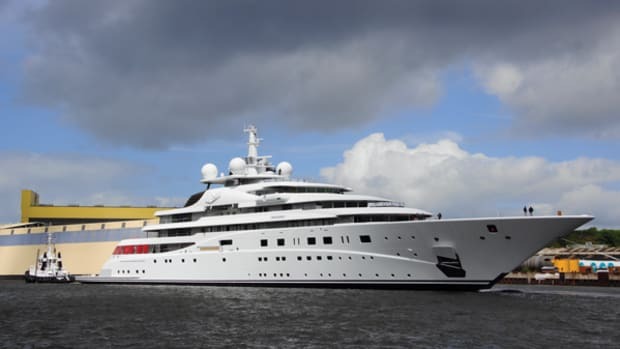 Azzam officially launched in April of this year, but Lürssen first floated her out of the build shed in late May of 2012 and towed her to another, longer shed to complete her bow section and uppermost superstructure. 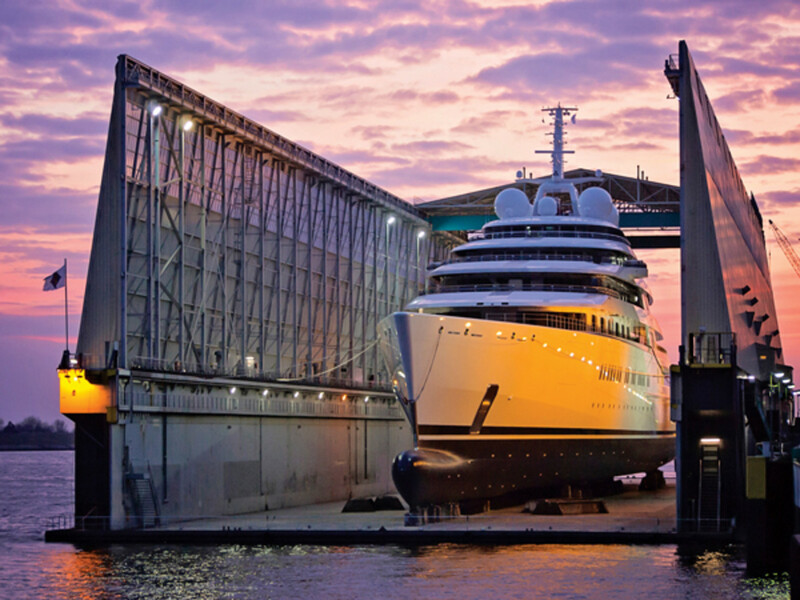 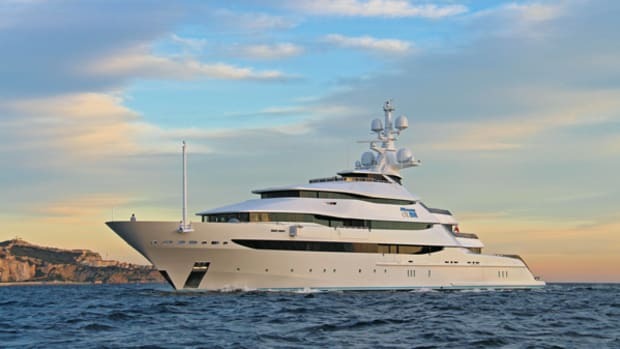 Given the current climate of secrecy, we were surprised to receive press releases and photographs from Lürssen and the owner’s representatives at Burgess this spring. 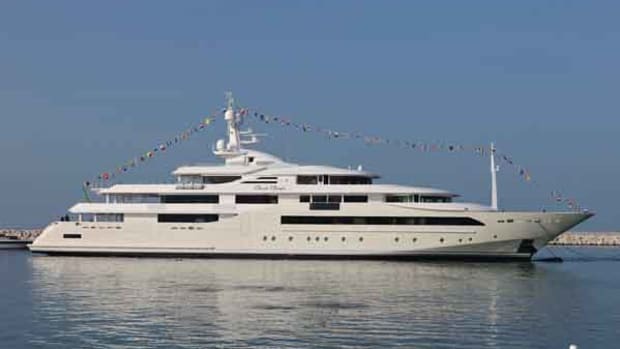 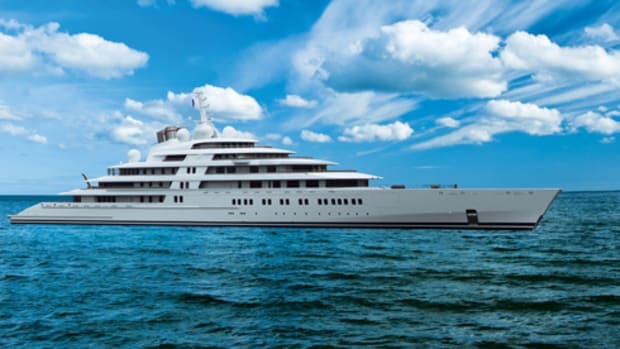 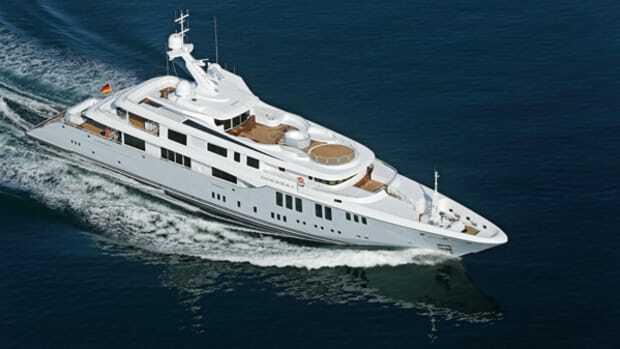 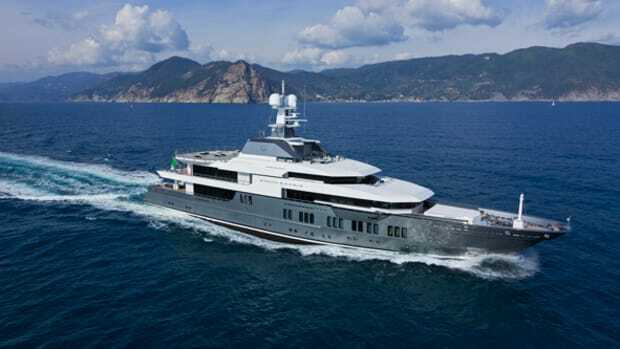 Both companies could only reveal limited details such as Azzam’s beam and draft—68 feet 4 inches (20.8 meters) and 14 feet 1 inch (4.3 meters)—and the fact that she’s fitted with gas turbines coupled to traditional diesels creating a total horsepower of 94,000. 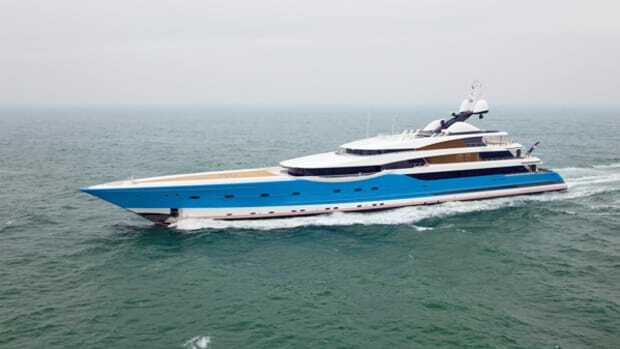 This combination should allow an astounding top speed exceeding 30 knots. 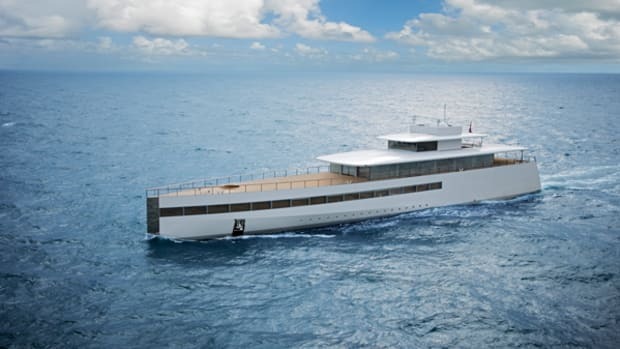 Another notable detail is that Nauta Yachts, which is responsible for Azzam’s exterior styling, got the job by entering a contest held by the owner.